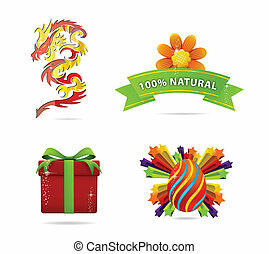 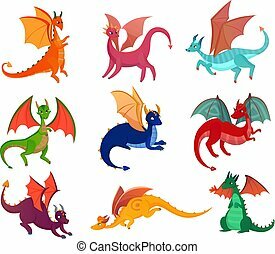 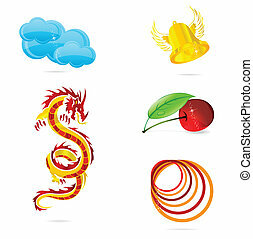 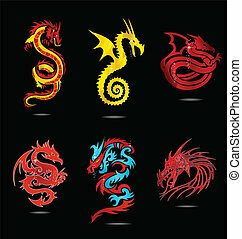 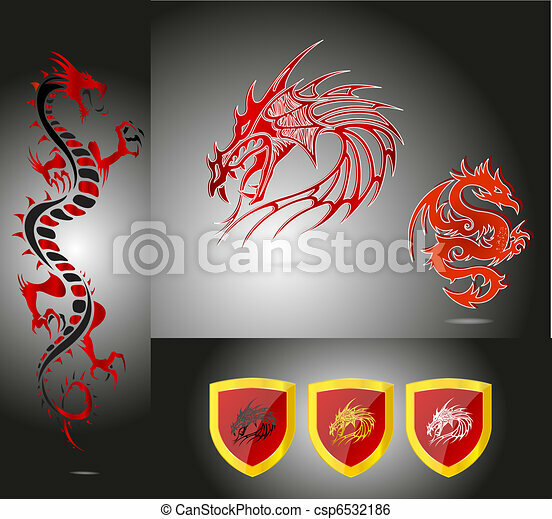 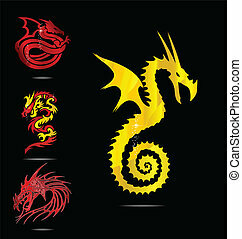 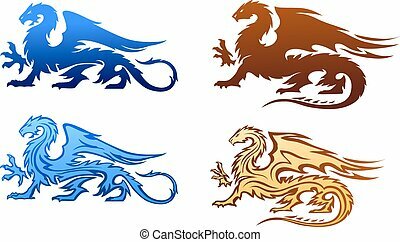 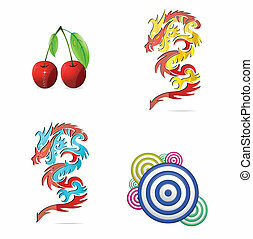 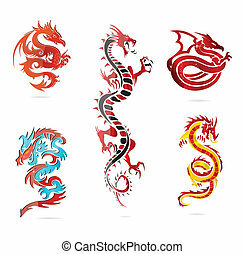 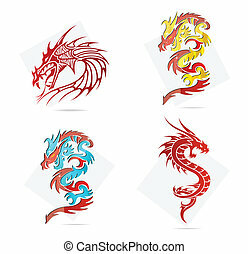 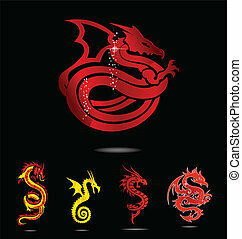 Emblems and dragons set red color isolated. 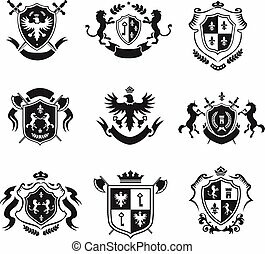 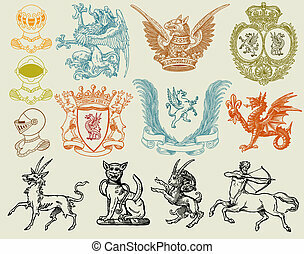 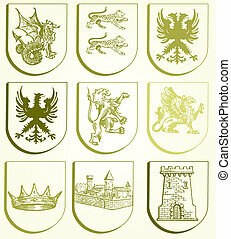 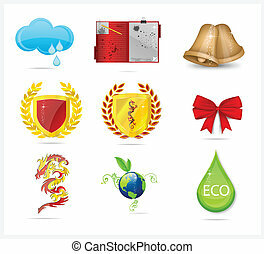 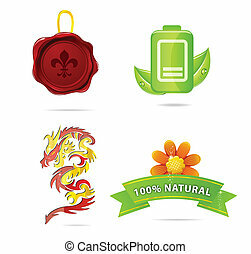 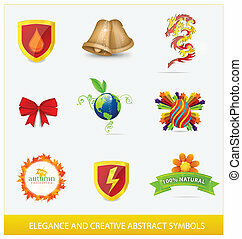 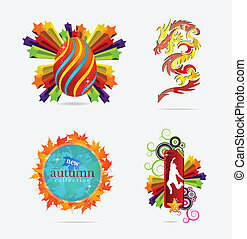 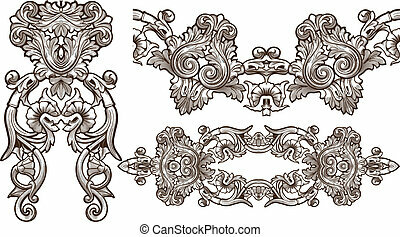 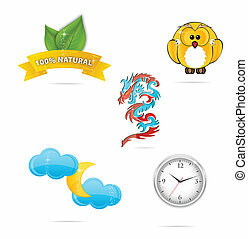 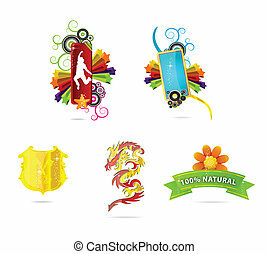 Heraldic coat of arms decorative emblems black set with royal crowns and animals isolated vector illustration. 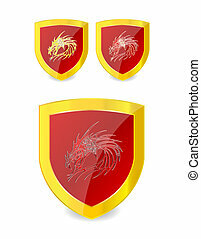 Set of Round Emblem with Drakkar in Nordic Sea. 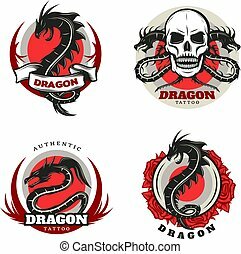 Vector Logotypes of Vikings Medieval Warships for Travel Company.